Facebook lead generation has become very popular in the last few years as an extremely cost effective way to generate leads quickly. Unfortunately for many, Facebook isn’t a direct sales machine and while achieving volume can be accomplished fairly fast for just a few media dollars, the quality of the return maybe lousy and unqualified. So what should you do? Should you just abandon the Facebook lead generation strategy all together? Always use the higher intent lead generation option. With this users have to double confirm their info before they submit it. If they took the time to do this, they are much more interested in getting additional information. While you may not get the volume of leads you need to remember it’s more about quality than quantity. Change your targeting to a custom look-a-like audience. Instead of just taking guesses of who you think your audience is, by uploading a custom audience of previous prospects or using a list that was created from your Facebook pixel and overlaying it with look-a-like criteria maybe a great option to get better leads. Ask 4 to 5 custom questions on your lead forms. While you may get many people that submit the form without answering all the questions (remember humans these days have quick attention spans) the ones that actually do, show they took the time and made an effort that they are much more serious and hopefully qualified. 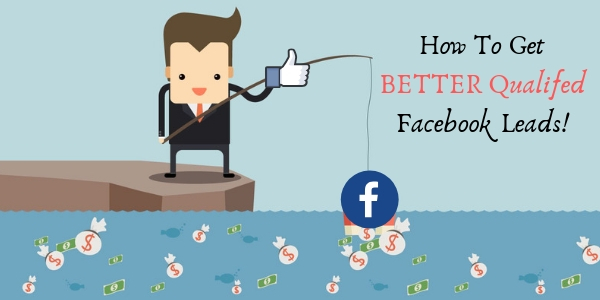 While Facebook is a social network and not a direct sales oriented tool, its Lead Generation capability ads are a great way to get qualified leads for your business. It just may need to be fine tuned and tweaked for optimal performance. For assistance in creating lead generation campaigns using Facebook and other social media networks contact The Interactive Imprint today at 954-254-1650 or visit TheInteractiveImprint.com.